Hi guys! Today's post is going to be another full of swatches like I did the other day with the Revlon Colorstay polishes. 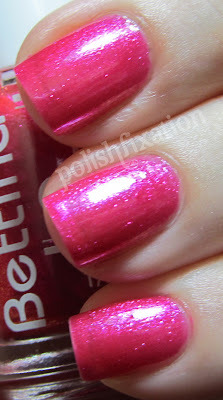 This time around I will feature some lovely Bettina polishes! Bettina 28 is AMAZING. I am not sure there are even any more words needed to go along with these pictures. This is just 2 coats of polish. I am in love. 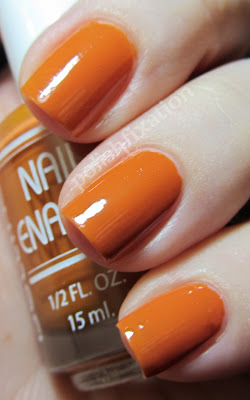 Bettina 193 is a shade of orange that is actually a little more yellow-y than it appears in these pics. 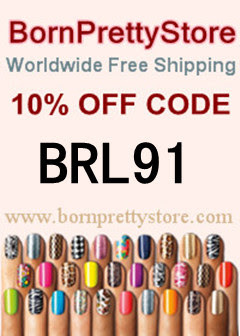 I love it though and the Bettina formula is flawless. 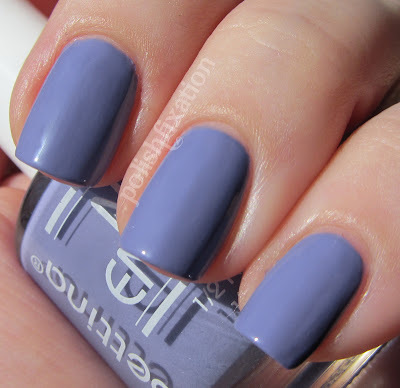 Flip Flop is a really pretty lavender creme polish. I used 2 coats. I think this is very close to periwinkle but on the more purple side. The bottom picture makes it appear to have a slightly matte finish, but it's actually quite shiny, I am not sure what happened with that picture, but the color was accurate so I wanted to use it anyway. Groovie is from the Disco collection released last year (2011). Groovie, and the other polishes from that collection, are full of glass-fleck goodness. They are great on their own but need to be built up (pictured is 3 thin coats) or you can layer them over other colors for some interesting results. I adore this polish and my other disco polishes, I will have to swatch them at a later date for you all to see! What do you think of these? 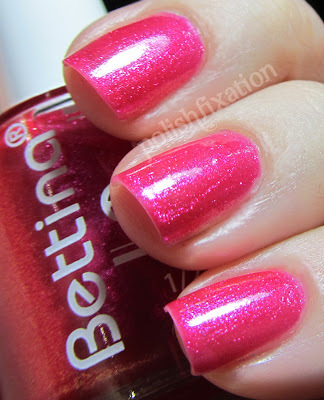 Do you have any Bettinas in your collection yet? Omg!!!! 28 is GORGEOUS!!! I'm in love!! Gotta have it. Very pretty swatches, I love Groovie! The purple polish is amazing.. it photographed so beautifully. That dark purple one is amazing! Oh jeez! 28 is so damn pretty! I love Bettina-I own 53 so far!!! The purple is gorgie! I've never seen this brand, though. Where are they available? O.M.G. I love that purple one! MUST.HAVE! 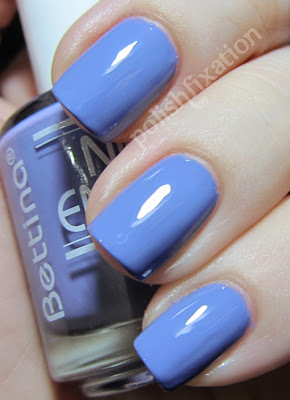 I so much want some Bettina's in my collection. They have insane shine and their cream formulas look amazing. I have had trouble contacting the person in Puerto Rico who sells them. I guess there is some difficulty getting them mailed into the US as possible hazardous materials.